Germany's small towns are great at creating and hosting small businesses that specialise in something very particular and quickly take on the world in their own market. 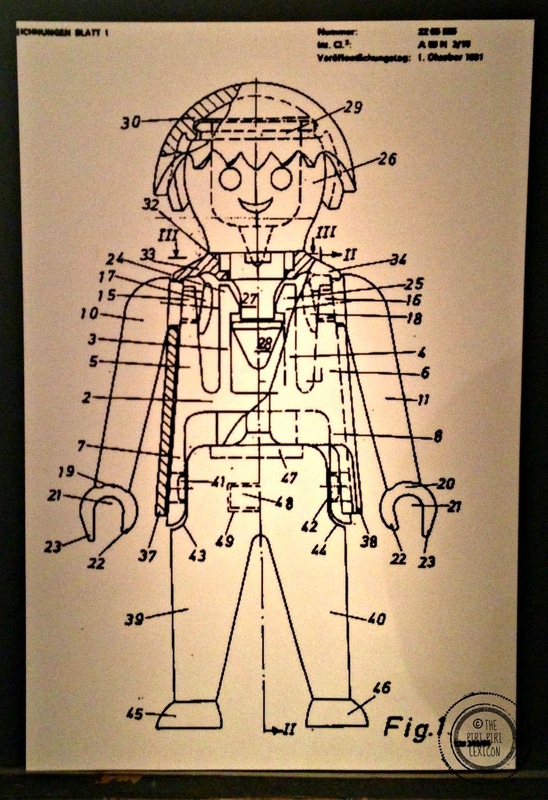 Birkenstock, Huf, and Playmobil are some names you may have heard of. When I was a kid, my brother and I had quite a collection of Playmobil. We would save pocket money to buy some, trade some at toy fairs and ask Santa for more. We still have quite a collection stashed away in my parents' attic as my younger brother refused to get rid of them. Our children now enjoy them when they visit their grandparents. 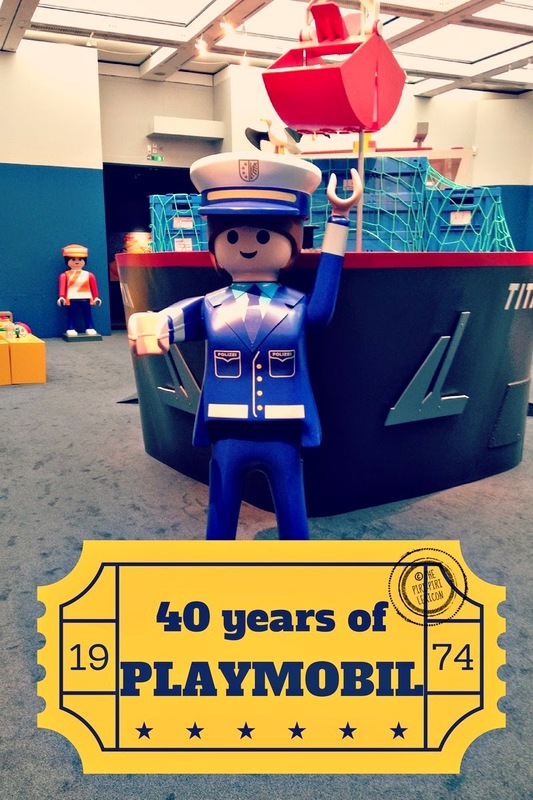 When we saw that Playmobil were celebrating their 40th birthday this year with an exhibit in Speyer (a nearby city), we knew we couldn't miss it. The exhibit is really truly worth a detour if you are in the region. The whole collection is there: there are some old toys displayed, some new ones to play with. 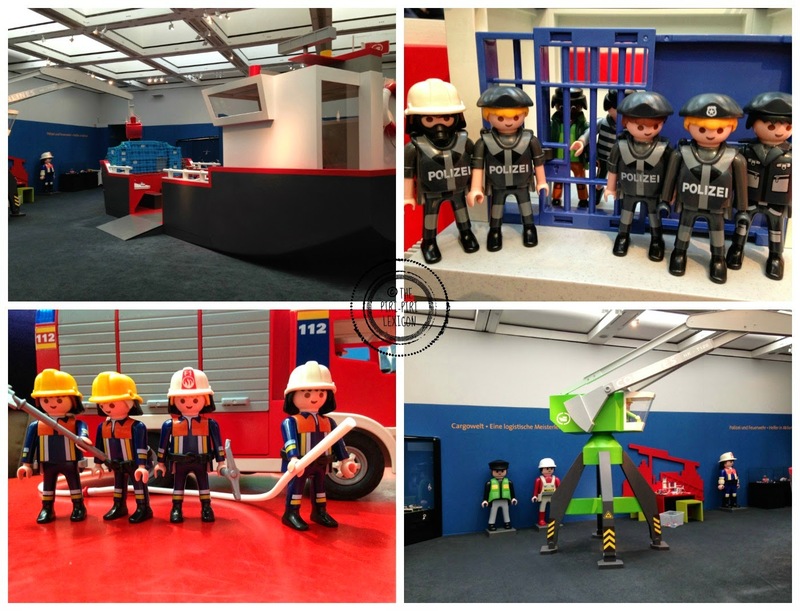 The Playmobil toys are arranged by time and theme. There is a medieval times display with princesses, castles, dragons and knights for example. These displays are amazing, huge and really well made. There are also some character displays which kept us busy for a while with panels after panels of Playmobil figures (old and new) to look at. LJ spotted a mermaid and we are now on the hunt for one! There is something for everyone. Children will of course love to play with the toys as there are lots of different little tables and set ups to play with some. Adults will no doubt reminisce of their childhood. We really loved it. LJ spent hours looking at them and playing of course. 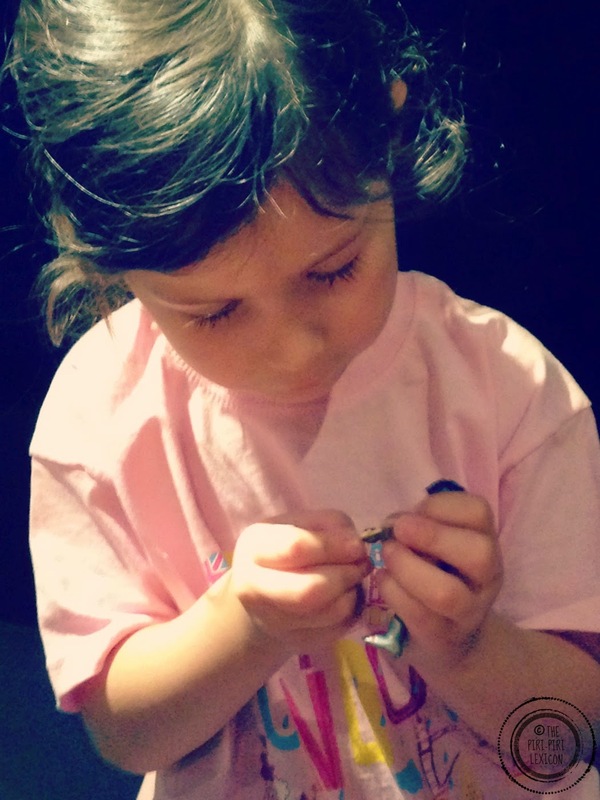 While P and I talked about what we had and what we did with them. A must see if you ever have the chance. 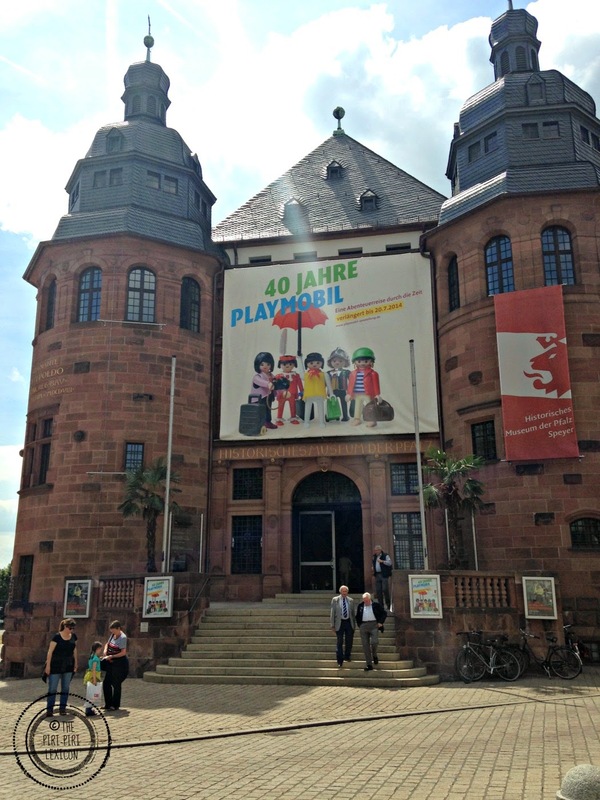 40 Jahre Playmobil @ Speyer Historisches Museum der Pfalz (until 20th July 2014). Entrance fee: 7€ (free under 6 years old).